Does Light Therapy Help Depression? Near Infrared Light Therapy for Depression- what do the experts say? It depends on what type of light is being used. There was a time when humans were far more connected to nature than we are today, including taking in the benefits of full-spectrum natural sunlight during their daily routines. Most people today are indoors from the time that they get up until nighttime with only brief interludes of sunlight. We get up and head for our car or bus and go into office buildings, sometimes even going from garage to garage. Our stress filled days don’t allow for the luxury of spending much time outside. Light, or photons, are incredibly important to our health and well-being. If we don’t get the proper type and amount of light our bodies and psyches are functioning with a serious handicap. Without the proper types of light we you be surviving, but are you thriving? A lack of sunlight or other optimal sources of light/photons (such as Joovv) contributes further to stress, anxiety, and depression. Biological mechanisms which may contribute to depression include: oxidative stress, decreased metabolism, inflammation, and neurodegenerative processes. How much natural sunlight do you think you get in a day? Especially now that we in the Northern Hemisphere are moving into the darker months of autumn and winter, the amount of sunlight we receive directly on our skin is negligible. Why does this matter to you and your family and how is it affecting your health? The problem is that most of us simply don’t have time to take walks in the sunshine or we worry about the potentially damaging effects of the sun on our skin–from fine lines to depression. And now that we are entering the darker days of autumn and winter we receive even less sunlight. What Type of Light is Best for Depression? Natural sunlight powers just about all life on planet earth, and we human beings are no exception. Sunlight contains a full spectrum of light that helps keep your body recover from stressful events in daily life. When you are under stress (and who isn’t these days?) your body releases stress hormones. which leads to a cascade of bio-events. Low Level Laser Light therapy (LLLLT) is an effective component that helps relieve stress, anxiety, and depression naturally. Near infrared light lies outside of the visible spectrum and penetrates deep within the body whereas red light therapy penetrates just beneath the skin and therefore has different applications such as wound healing and anti-aging properties for the skin. Inadequate light leads to energy loss. Red and near infrared (NIR) are specific ranges of wavelengths that are found within the natural light spectrum and are crucially important for our cells to generate energy. Red and NIR light therapy has been studied and scrutinized extensively in recent years and has found to be beneficial at the cellular level. The technical name for low level laser light therapy is photobiomodulation (PBM) which uses red and near-infrared (NIR) light providing groundbreaking treatments for a broad range of conditions. Whether you consider brain and nerve cells, muscle cells, or skin cells they all get their energy from mitochondria–the powerhouse of the cell. Red and near infrared spectrums of light have been scientifically shown to activate the enzyme cytochrome C oxidase (CCO) in the mitochondria, which in turn dramatically increases energy production at the cellular level. What is the Connection Between Stress, Depression, and Light? When we are stressed (fight/flight/freeze syndrome) our bodies release adrenaline (and other hormonal chemicals), and these stress hormones are a major factor in making “superoxides” in our bodies, including in the brain. Think of superoxides as the opposite of antioxidants, which scavenge up free radicals which cause oxidation. We look for foods and supplements rich in antioxidants to prevent and reverse the free radical damage. An excess of superoxides in the form of nitric oxide (NO) is associated with stress, anxiety, and depression and interfere with the cell’s energy pathways. 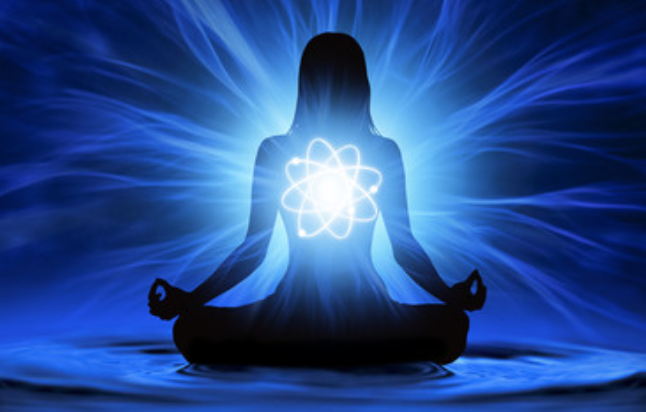 When we are under stress, fell anxious or depressed our cellular energy production suffers creating a cycle of low energy affecting mind and body. Researachers Theodore Henderson et al. have also found that biological processes may also contribute to depression including oxidative stress, decreased metabolism, inflammation, and neurodegenerative processes. NIR light therapy is ideal for the restoration of mitochondria. The primary photoreceptors NIR light are the mitochondria. Superoxides are very powerful substances that can damage our mitochondria, the energy producing engines of the cells. Reducing ongoing stress and the damaging hormones that the body releases is key to healthy cell functioning and to your overall health and well-being. You don’t need to know the science, just remember that stress related hormones (also present in anxiety an depression) interfere with your cells energy production. If your cells are stressed and fatigued- so are you. Dr. Peter Bongiorno ND, author of Healing Depression, has found that poor mitochondrial function exacerbates conditions including anxiety and depression, and he says that makes feeling better even harder to achieve. Dr. Bongiorno sees “a lot of depression or imbalances in mood, and nervous system problems for which a neurologist finds no cause for (like tingling, numbness, pains, etc. ).” Poor cellular respiration or energy production contributes to the problem and insufficient photon absorption appears to be part of the problem. Although the number of studies regarding red light and NIR light therapy for depression are few and in some cases with a limited number of participants, the results are highly important and encouraging. Researchers Schiffer et al. subjected treatment-resistant depressed patients to a single Near Infrared (810 nm) PBM treatment and reported that after two weeks their depression scores were reduced and 60% were in remission from depressive symptoms. Without continued treatments however, their success proved to be a temporary condition. Like brushing your teeth, PBM is meant to be administered for a few minutes daily. Red light and NIR light therapies require consistent daily use for several minutes for long term results. Therefore, models designed for in-home use such as the ones designed by Joovv are ideal, and relatively affordable when compared to the units used in spas or clinics that are designed for multiple people per day (see below). You may remember back to high school biology where you learned about the Krebs Cycle and cellular energy production. 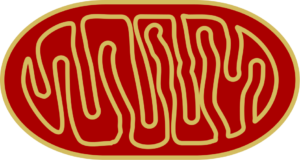 The mighty mitochondria are organelles within cells that generate energy, they are the “powerhouse” of the cell. When the mitochondria are functioning on all cylinders they generate sufficient energy by converting glucose (sugar) to energy. Prolonged stress can lead to anxiety and stress-induced depression. Our energy levels feels zapped when we are stressed and depressed and the resulting fatigue can be intensified by the vicious cycle of excessive stress hormones which damages our cell’s energy generators–the mitochondria. When we are under prolonged stress the mitochondria (power houses) in our cells can produce excess nitric oxide which competes with oxygen thereby reducing energy production. Specifc wavelengths of light “charge your cell’s batteries” and generate more energy–in cell bilolgy talk it’s called ATP (adenosine triphosphate), the “molecular unit of energy.” If you are like me and want a bit more of the science, watch this 2 1/2 minute video. In short, stressed cells biochemically derail energy production at the cellular causing a myriad of ill effects. If cells aren’t producing enough energy or ATP through a process called cellular respiration the cells simply cannot perform their functions adequately. In turn, this causes fatigue, inflammation, and multiple disease states. Clinically-demonstrated wavelengths – choose a device that is within the mid-600 nm (red) to low-to-mid-800 nm (near infrared) range. Treatment area – select a device that provides adequate coverage for the condition you are treating. Joovv has one of the world’s leading photomedicine experts, Dr. Michael Hamblin, on their scientific advisory board. Michael R. Hamblin, Ph.D., is a principal investigator at the Wellman Center for Photomedicine at Massachusetts General Hospital, and a professor at Harvard Medical School. Further, Joovv products are approved by the FDA and endorsed by leaders in the wellness industry. With my years of research and development experience for a major medical device company, I can appreciate the scientific rigor and excellence behind the Joovv products. The Joovv delivers the rejuvenating benefits of the specific range of light to help relieve depression by delivering photons that allow your body-mind to help heal naturally and effectively from depressive symptoms. 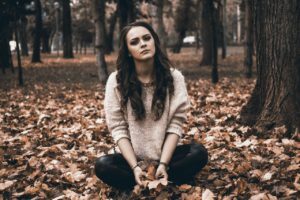 Although the research is continuing on, early findings regarding NIR and depression are promising.